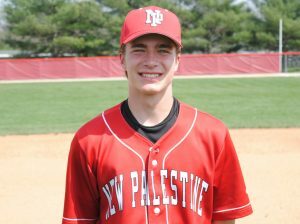 The New Palestine baseball team hit the 20 win mark Thursday, beating Greenwood 13-4. 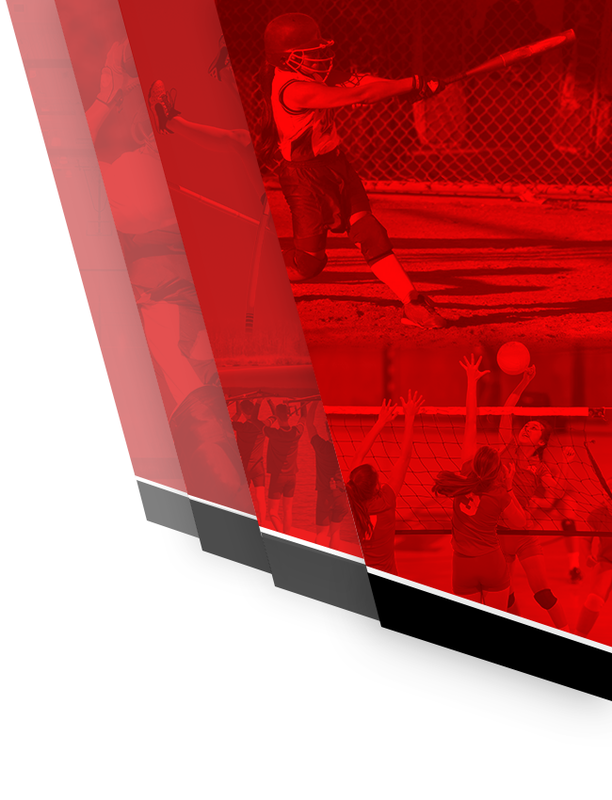 NP is now 20-5 with two games remaining in the regular season – a Friday Senior Night doubleheader against New Castle. The Dragons hit their 20th win with a relentless offense that pounded 17 hits against three Greenwood pitchers, leading to two big innings. The Dragons started the game with a five-run first inning, then put the game away with six runs in the bottom of the sixth. Grant Hickman (2-0), pitching his first game since April 10, got the win on the mound. He threw six-plus innings, scattering 10 hits and striking out four, for the victory. Jaden Jaques got the final three outs to seal the victory. Offensively, the Dragons wasted little time getting the bats going, loading the bases three batters into the game. 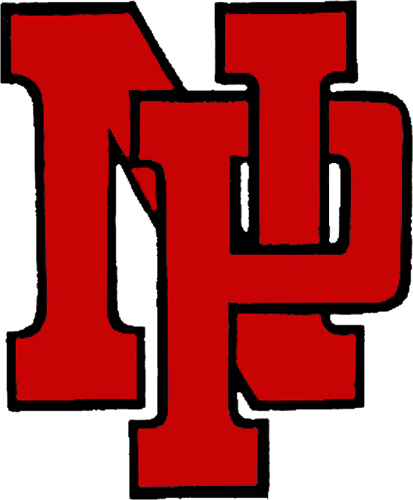 Jacob Garrison, Jacob Bain and Nick Rusche had RBI singles, while two more runs scored via wild pitches, as NP had five runs on five hits in the first. The Dragons added a run in the second when Jack Walker led off with a single and scored on Luke Greene’s sacrifice fly. 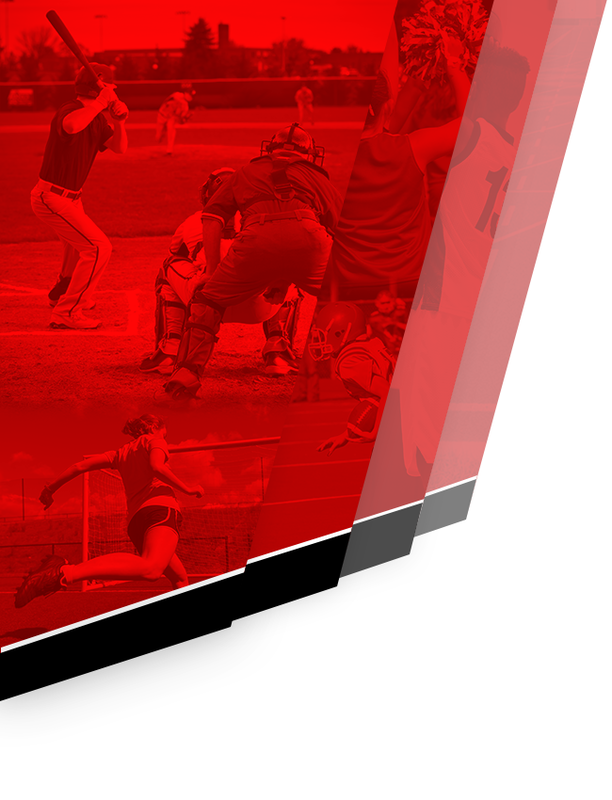 NP stranded runners in scoring position the next two innings, but plated another run in the fifth when Rusche singled, went to third on Colby Jenkins’ base hit, and scored on Walker’s sacrifice fly, answering after two two-run innings for Greenwood cut the lead to 6-4. The Dragons broke things open in the sixth, with Cameron Pitzer’s leadoff triple touching off a six-run inning. Brendan Tabor’s RBI double helped lead a conga line that followed with RBI hits from Rusche, Jenkins, Walker and a sacrifice fly by Cameron Espich. The top three batters in the order had nine of the Dragons’ 17 hits. Rusche was 3-for-4 with three runs and two RBI. Jenkins was 3-for-5 with two runs and an RBI. Walker was 3-for-4 with two runs and two RBI. Pitzer was 2-for-4 with a triple and a run. Bain was 3-for-4 with a run and an RBI. 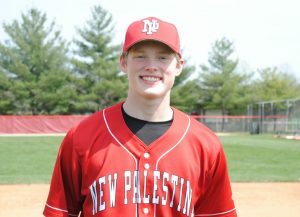 Brendan Tabor had a double and an RBI. Grant Wiegand had a hit and a run. Jacob Garrison had a single, a run and an RBI. Greene and Espich each drove in runs. 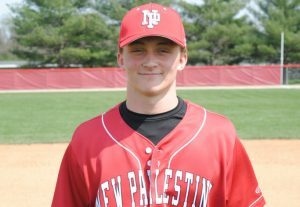 Nick Rusche had three hits, three runs and drove in two for the Dragons. Colby Jenkins had three hits, two runs and an RBI. Jack Walker had three hits, two runs and two RBI.